The AEO Conference is the definitive business networking forum for event industry professionals. The 2019 AEO Conference will be held at the De Vere Beaumont Estate, Windsor on the 5th & 6th of September. The theme for this year's conference is Live - Survive or Thrive? We have some great content planned for you. Our opening keynote is an adventurer, entrepreneur and survival expert and our closing keynote a whizz at helping businesses get amazing customer engagement through digital communications. Sandwiched in-between these two fantastic external speakers are a few industry experts that you may recognise. 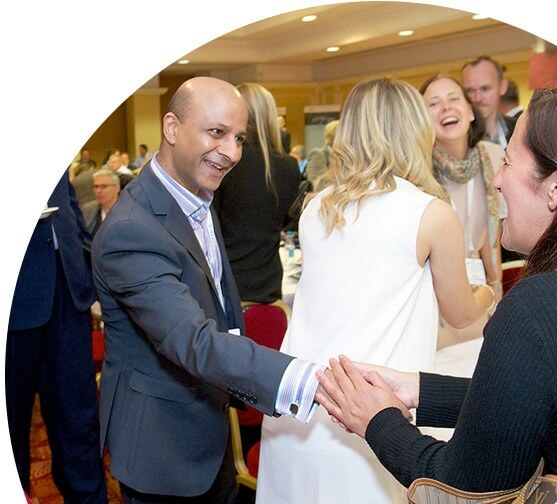 Offering a combination of leading industry speakers, cutting edge content and top-line peer-to-peer networking, the AEO Conference attracts an impressive delegate profile of CEOs and senior event teams from across the organiser, venue and supplier communities.